A cover letter from Grand Duke Michael Aleksandrovich to his former tutor Ferdinand Thormeyer in Carouge, Switzerland. 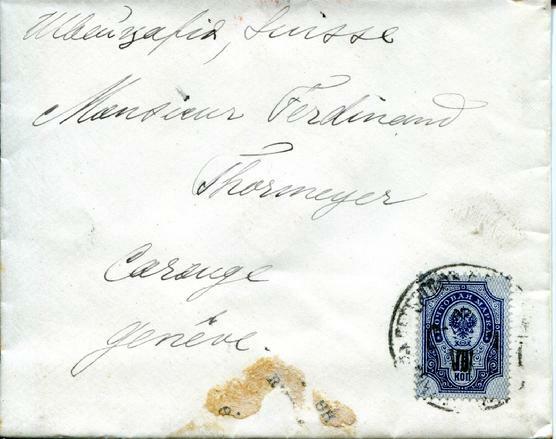 Cover canceled in Peterhof and St. Petersburg on 13 Aug. 1900 (26 Aug. in the Gregorian calendar) and in Carouge, Switzerland on 29 Aug. A further postmark (dated 13 Aug.) reads S. Peterburg Kants. Pocht. Direktora (Office of the Postal Director). 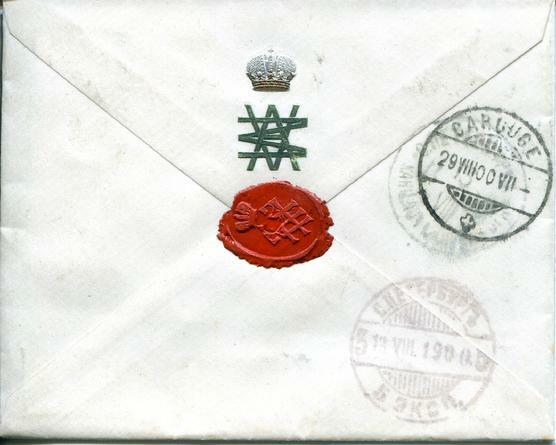 This rare postmark was used on some mail going to or from members of the Imperial family. 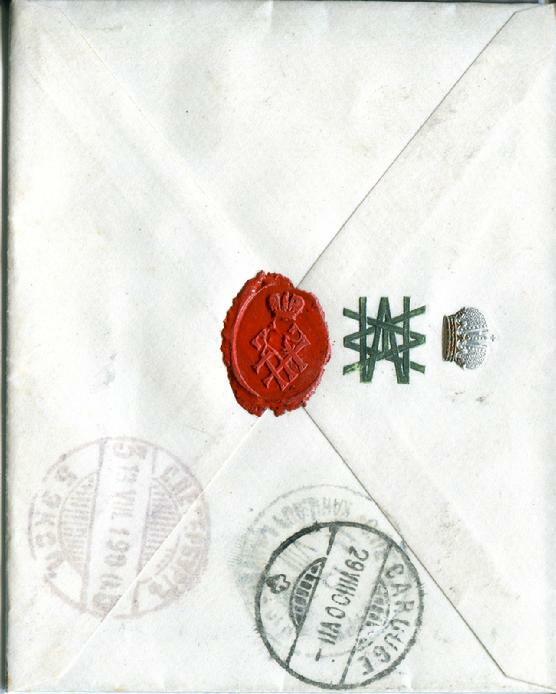 The envelope has a silver and gold embossed Imperial crown, embossed initials (overlapping MA), and a wax seal showing the Imperial crown and overlapping MA. 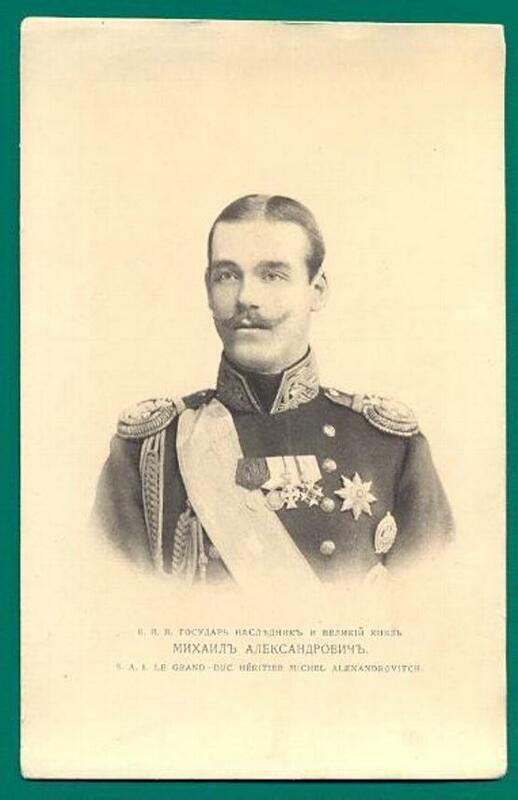 Grand Duke Michael, the youngest son of Tsar Aleksander III and the brother of Tsar Nicholas II, was heir to the throne at this time. Nicholas abdicated in Michael’s favor in March 1917 but Michael refused the crown. He was the first Romanov to be murdered by the Bolsheviks in June 1918. Thormeyer tutored the children of Tsar Aleksander III in French language and literature from 1886 until 1899. Original and extremly rare item, from Romanov Dynasty. This photo is not included in this lot,and it's not for sale.